In the fulfillment industry, it’s the best of times, it’s the worst of times. The best because the economy is booming, online sales are booming, and the fulfillment business is booming. The worst because all that booming demand resonates across the market: freight costs are rising, labor and driver positions go unfilled, and stricter regulations are exacerbating the already-existing capacity crunch. At the same time, the revolution in productivity-enhancing materials handling technologies is transforming warehouse operations at all levels. Robotics and automation, machine learning and artificial intelligence (AI), RFID tracking and the Internet of Things (IoT), and a host of other sophisticated data capture and analysis hardware and software systems have the potential to connect and streamline the supply chain in ways we could never have imagined a few years ago. Acquiring, implementing, and operating all that technology doesn’t come cheap. A new research report from Global Market insights, Inc., forecasts a boom in the global materials handling equipment market, predicting its value will exceed $190 billion (USD) by 2024. The automated materials handling (AMH) equipment sector will account for $53.59 billion of that increase, up from its 2018 value of $33.46 billion. The robotics segment of the market will increase in value to more than $20 billion, an indicator of the importance the industry continues to place on fast, efficient, accurate e-commerce order picking. Of course, the size and frequency of necessary equipment investments will naturally vary among market segments and according to product mix and fulfillment volumes, but one thing is for certain: Planning and budgeting carefully to make timely and appropriate investments in productivity-enhancing equipment is your best bet for achieving e-commerce success. Your competitive position depends on it. 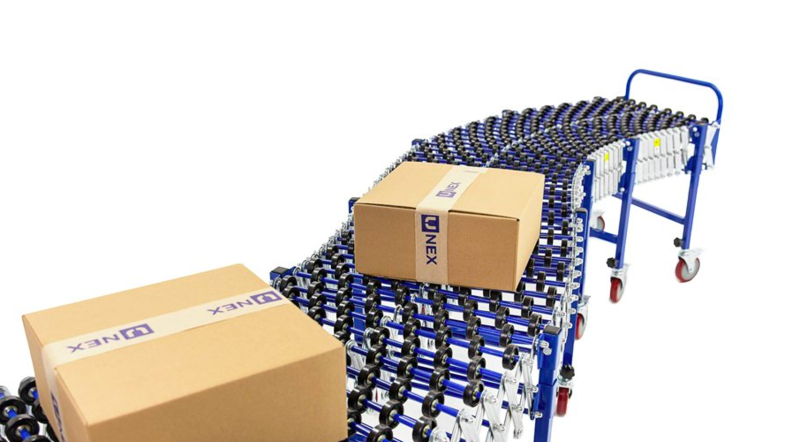 UNEX Manufacturing is a leader in the material handling equipment industry, providing conveying, order picking and storage solutions that speed fulfillment and bring space to the warehouse. If you need to improve the usage of your current warehouse footprint, contact your UNEX Pickologist today.